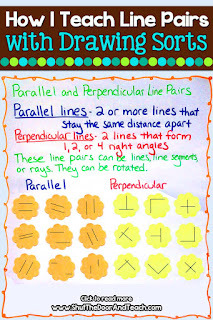 My fourth graders had very few problems identifying parallel lines at the start of our unit (Math in Focus, Chapter 9). 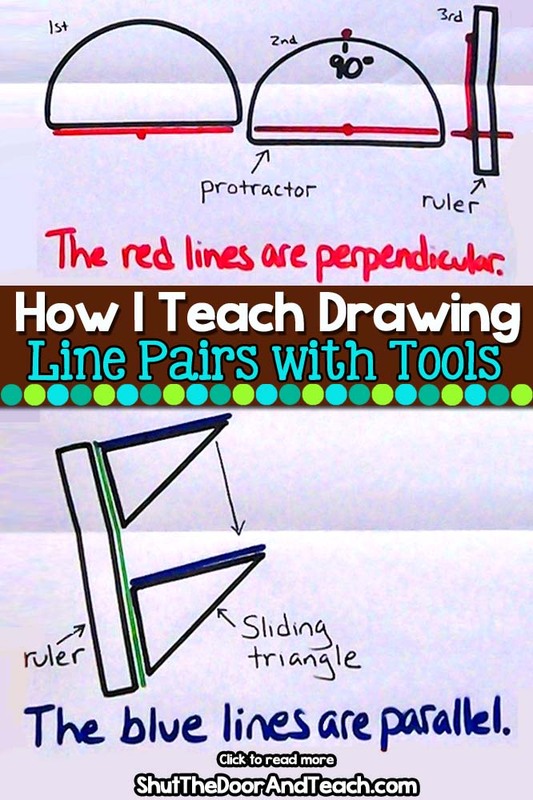 Many of them could tell the difference between perpendicular lines and those that intersect at varying angles. 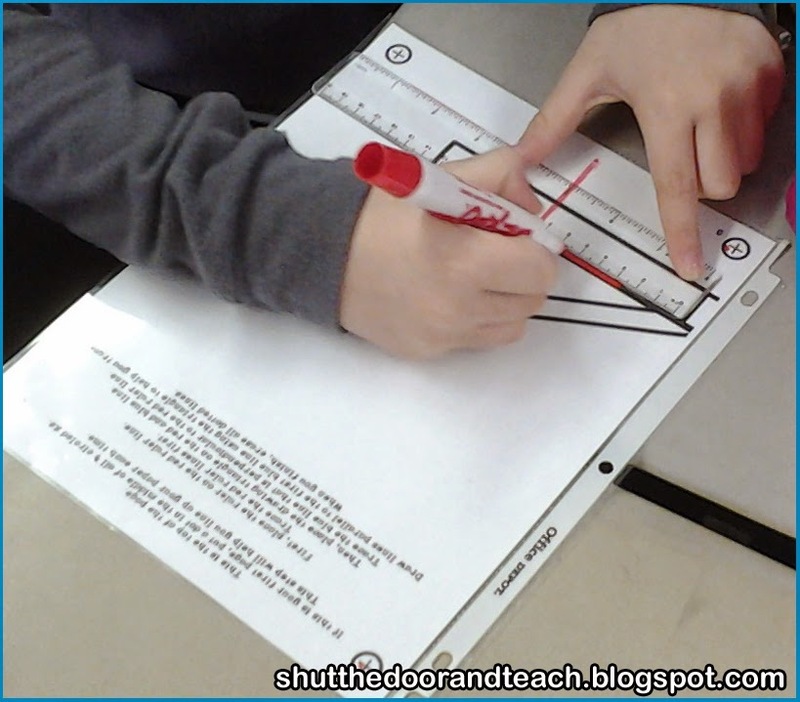 However, when it came to drawing parallel and perpendicular lines using a ruler and a drawing triangle, they became surprisingly frustrated. I wonder if part of the issue is lack of fine motor control. Although kids nowadays type better and have good hand eye coordination when it comes to mice and touch screen devices, I wonder how much they manipulate objects compared to when my generation was young. How many build legos or play in a sandbox? 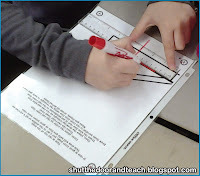 With standardized tests becoming more and more of a focus in schools, how much time to they spend cutting with scissors, gluing and more to the point, how often do they use a rulers to draw straight lines? Many of my students are still working on this skill! 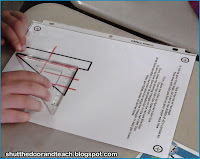 So although they understood the idea of precision (our previous unit was all about using protractors to measure angles) they did not have a good grasp (literally) of how to hold a ruler and rotate a drawing triangle so that the edge aligns with the ruler. We practiced perpendicular lines with overhead sheets. All 4 teams competed to have the straightest perpendicular line coming off of the 8 lines I drew. As a result, their perpendicular lines looked much better. So we dove into parallel lines the day before vacation. 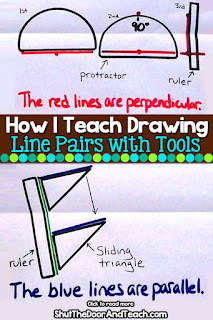 So feeling the need to revisit parallel lines, and with ample time on my hands, over vacation I created a new activity. I developed a series of pages that have a triangle and ruler drawn in various positions. 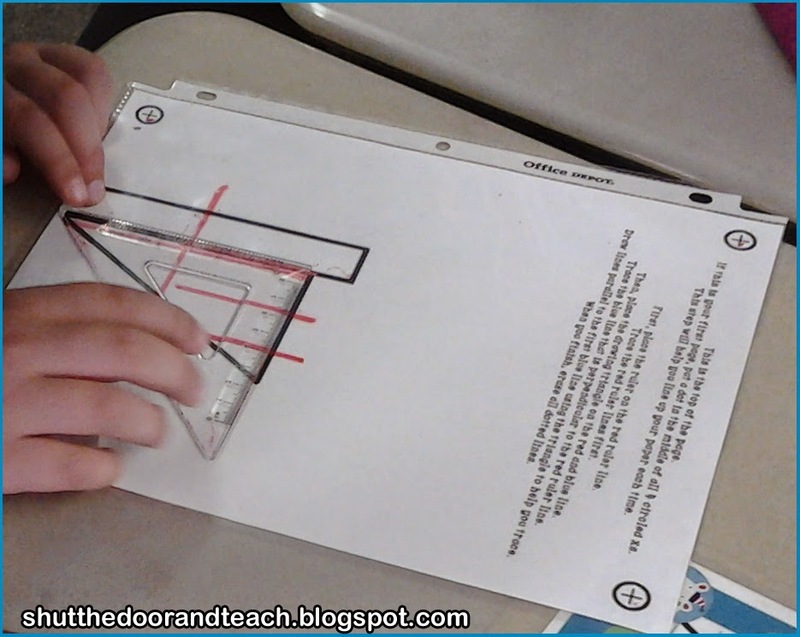 The directions remind students to trace the red line (against the ruler) first, and then place the triangle on the blue line(s) to trace after. However, instead of laminating these task card style, I tried a different format. I gave each partnership a marker and a sheet protector. I demonstrated how to slide a paper in, position the tools to trace the lines, and then go to another spot to get a new paper repeat the tracing from a new angle. The order of pages did not matter! Once all the pages had been traced, the layers would combine to make a picture. The sheet protectors worked even better than transparency sheets because they can't slide around. Every page lined up perfectly once in the pocket. 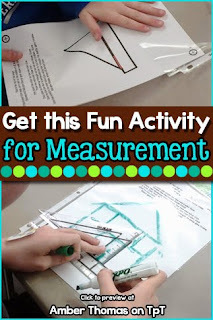 The kids really enjoyed this activity! By working with a partner, they checked each other for accuracy. In the end, it was clear who had the gist of using the tools and who needs additional support and practice holding tools securely for accurate drawing. It was a fun first day back after a week off. 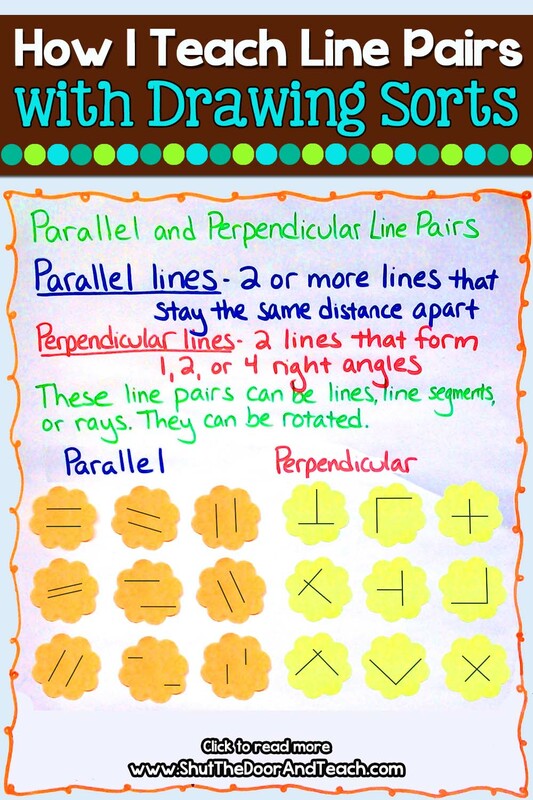 Although identifying parallel and perpendicular is nothing new to me, using these tools was added into our curriculum only a couple years ago. 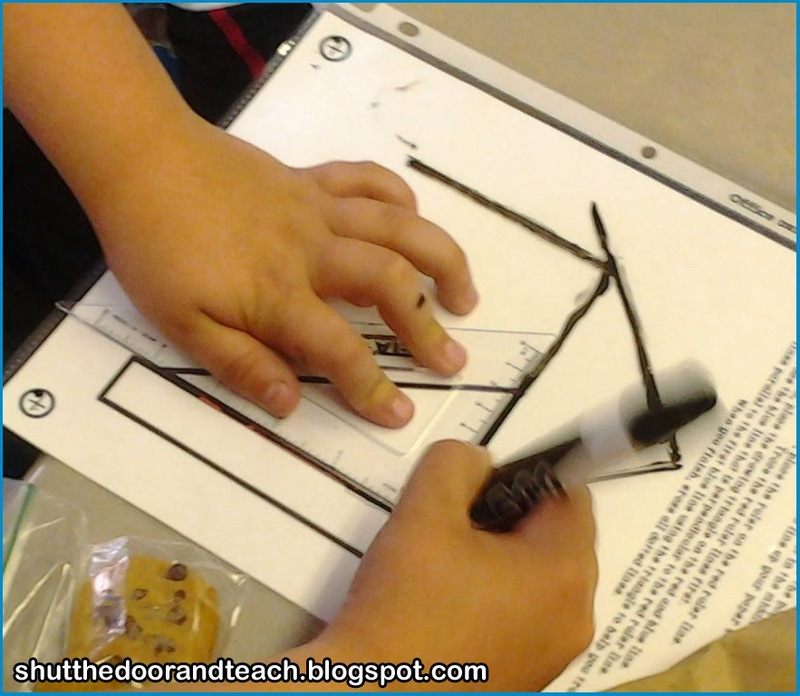 Do you have any tips for teaching how to use a drawing triangle to create parallel lines in math? If so, what grade do you teach? 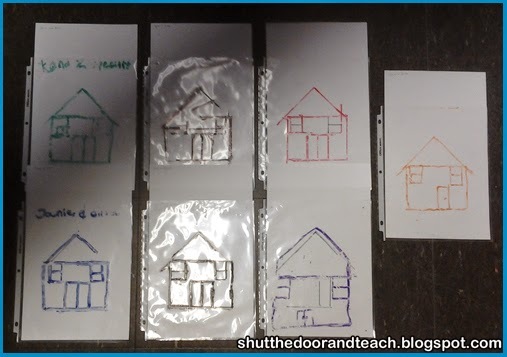 I'm linking up with Meg over at The Teacher Studio for Love that Lesson, because the kids had a blast creating these houses using drawing tools! Thanks so much for linking up! Looks like the kids loved it! Great way to refine those "real world" skills! What a fun idea! I love that you had the students exchange the papers themselves. I have tended to want a protector for every page when I use them, so I often don't use sheet protectors. This made me realize, duh, have the students put in the sheets. In fact, each student could just have a sheet protector that they can use whenever it is called for. Thanks! 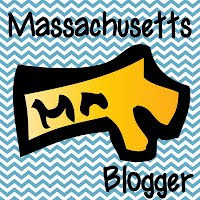 I came across your blog through Farley's 4th grade link up and I am glad. I like how you explain things in your posts. I am a 2nd grade teacher who is moving to 4th grade next year and I am a little nervous about the move. 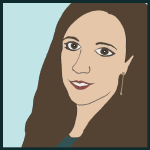 I will be coming back to your blog to read through some more post to help me get ready for jump. Thanks for stopping by, Tammy! Fourth is a great age. They are a lot more independent and make amazing connections. I hope you enjoy them!